Ah, the sweet tooth. For most of us, the craving for something sweet following a savory meal or snack is strong enough to unravel even the strictest of healthy eating regimes. Whether it be a hankering for chocolate, or a longing for something fruity and tart, the power of the sweet tooth tends to take over. But, giving into your sweet tooth doesn’t mean giving up on healthy eating. Let’s hear it for sugar-free alternatives that taste just as good, but don’t wreak havoc on your body! Let’s think about sugar for a second. We’ve been told from a young age that sugar is bad for us, but we don’t really differentiate between naturally occurring sugars (like the ones in fruit), and the added sugars that fill flavor gaps in processed foods. In fact, there are 600,000 processed foods in the marketplace, and 80 percent of which have added hidden sugar. The average American consumes 22 teaspoons of sugar a day, mostly hidden, and the average teenage boy has 34 teaspoons a day (more than two 20 ounce sodas). One serving of Prego tomato sauce has more sugar than a serving of Oreo cookies. At only 245 grams, low-fat yogurt can contain a whopping 47 grams of sugar, which is more sugar than you’d get in a can of coca-cola (which contains 39 grams of sugar). The correlation between low-fat or diet foods containing huge amounts of added sugar is startling. We live in a diet culture that says that low-fat is healthy, which is not always the case. Instead, we should be looking for foods with healthy fats and no added sugars, so that we can add our own healthy sweeteners to the food, such as local honey or stevia. When reaching for a packaged food that is labeled as low-fat, make sure to check the sugar content, and the type of sugar used in the ingredients. Although we are moving towards more transparency in food labeling, it is important to double check ingredients before we dive in. Stevia is an all-natural sweetener that has zero calories, doesn’t spike blood sugar, and actually has some major health benefits to offer. A little goes a long way, since stevia is 100-200 times sweeter than sugar. By adding stevia as a substitute to sugar in your recipes, you can unlock its amazing health benefits, including its anticancer abilities, its potential to lower blood pressure, and its power to improve cholesterol levels. If you’ve tried stevia before and didn’t find yourself to be a believer, give the debittered version a try. Debittered stevia is wonderfully sweet, without the sharp bite to it that some stevia products can have. Besides stevia, another great alternative to sugar is local honey. A super sweet substitute, local honey can easily be incorporated into baking recipes, drinks, sauces, and more. You can feel good (actually really good) about using local honey, because it’s chock-full of health benefits. 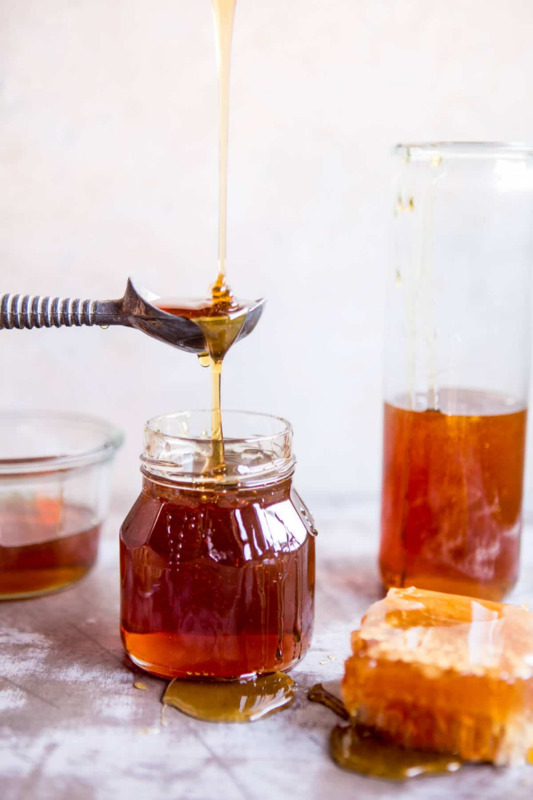 Most people are well aware of liquid honey, but you can also test out honeycomb (which is great when spread on gluten-free toast) or powdered honey (fabulous for baking). The high levels of antioxidants in local honey fight oxidative stress and inflammation, which are linked to many different cancers, as well as cardiovascular disease. However, unlike stevia, honey does spike blood sugar, so make sure to use it in moderation. Will Cutting Out Sugar Really Make a Difference? YES! And probably an even bigger one than you’d think. Before the multitudes of packaged foods were made readily available to us, sugar was a relatively small portion of the human diet. The sugar that was consumed mostly came from fruits and starches, which is way better than the added and modified crap that we see today. Now that sugar has sadly become a staple in our diets, a multitude of different health problems have been on the rise. While we already know that sugar is bad in terms of weight gain and diabetes, the lesser known (and arguably more dangerous) effect of excess sugar consumption is inflammation. Inflammation can lead to a whole host of health issues, but one of the most threatening is the pathway that inflammation paves towards chronic diseases. The CDC estimates eliminating three risk factors (poor diet, inactivity, and smoking) would prevent 80% of heart disease, 80% type 2 diabetes, and 40% of cancer. When inflammation is present in the body, it can mean that an early stage of a disease is at hand, and action needs to be taken immediately in order to reduce inflammation. 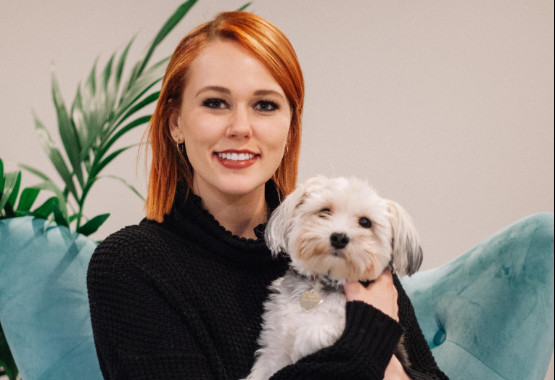 One of the most effective ways to do this? A sugar free or low-sugar diet. The benefits of eating sugar-free or low-sugar diets don’t just stop at reduced inflammation, either; Nixing the sugar can also aid in weight loss, reduce the risks of illness and allergies, prevent the dreaded “afternoon slump”, and actually get rid of sweet cravings. Since added sugars are hiding in so many different foods, the transition to a low-sugar or sugar free diet can result in some not-so-pleasant side effects, such as headaches, fatigue, cramps, and nausea. In fact, some animal studies show that sugar is eight times as addictive as cocaine. So it’s no wonder your body goes through withdrawal symptoms without it. It can be difficult to stay on track with your new diet because of these side effects, but persevere, because you will feel so much better. For added motivation, give the documentary Sugar Coated a watch. The research results of the dangers and prevalence of sugar are sure to shock you, and will definitely help you ditch the sweet stuff and begin in a sugar detox. Do I Need to Give Up My Sweet Tooth Forever? Absolutely not! With so many delicious and healthy sweetener alternatives, making your own desserts can be fun and easy, without the added sugar that can damage your health. Plus, just some simple swaps in your favorite desserts can slash the sugar content while keeping the flavor at full blast. Here are 3 of 2018’s trending sugar free healthy and sweet recipes to that will please even the most picky dessert connoisseurs out there. Typical muffins consist of roughly 37 grams of sugar each, which already exceeds the recommended amount of sugar per day for women. 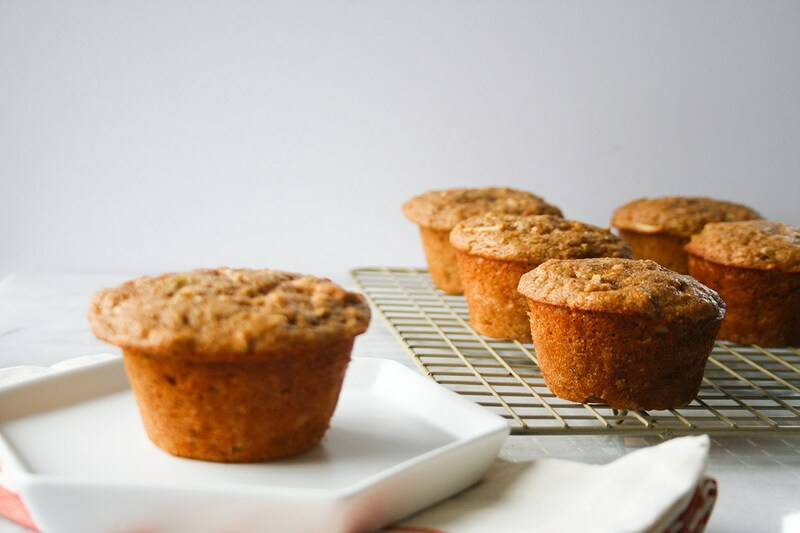 Instead, give these apple muffins a try, which are sweetened with dates and don’t have any added sugar, flours, or oils. Super easy to whip together and full of protein, this smoothie packs a flavor punch without the excess sugar that smoothies are notorious for. Just look at the Peanut Butter Moo’d from Jamba Juice; a small one has 72 grams of sugar! That is the equivalent to 7 glazed Krispy Kreme doughnuts. Yikes. You really can’t go wrong with chocolate. 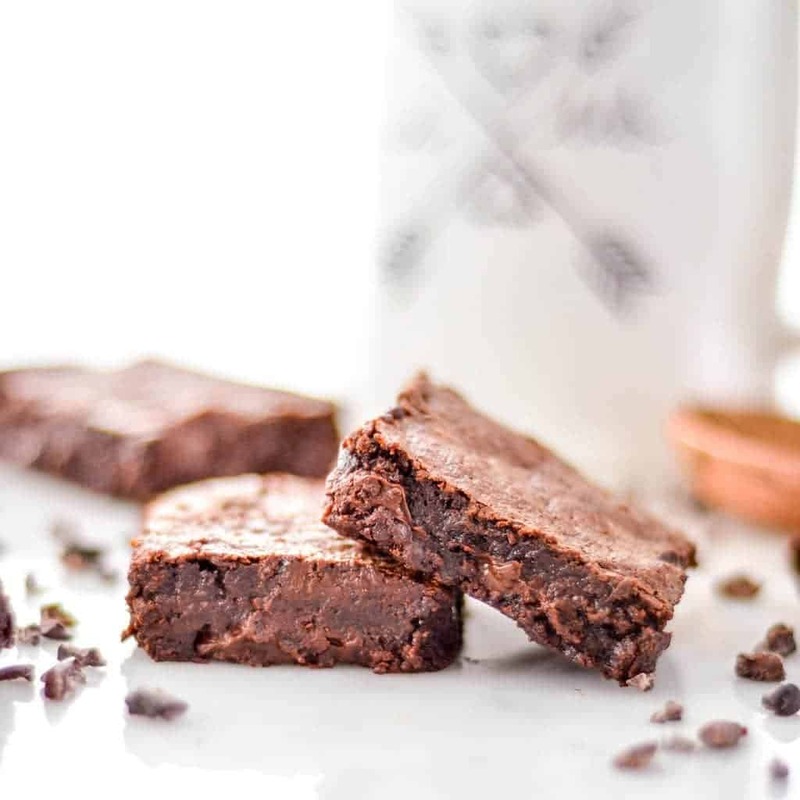 Unlike traditional brownies that boast roughly 24 grams of sugar per piece (100g), these sugar-free chocolate brownies are sweetened with pure stevia extract. Begone, refined sugar crash! In a small bowl melt your coconut oil and baking chocolate. Stir until combined then mix in stevia powder. Set aside. In a large bowl combine GF flour, cocoa, salt, and baking powder. Once combined mix in the rest of the ingredients listed. Take a spoonful of batter and mix it into the chocolate and coconut oil and whisk until incorporated. Then pour it all back into the batter. Spray an 8 by 8 baking dish with nonstick cooking spray. Pour batter and spread out evenly. Top with chocolate chips or cacao nibs. Bake for 25 minutes until a toothpick in center comes out clean. Let stand for 5 minutes before slicing into 9 squares. Enjoy warm! A sugar-free or low-sugar diet is imperative when it comes to healthy living, especially for those with chronic diseases. At SUTRA, we make our drinks absolutely free of sugar, using debittered stevia in its place. 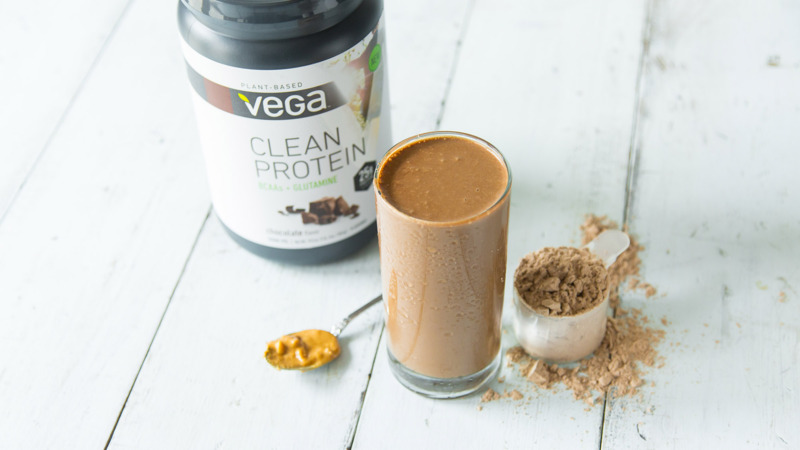 The result is a sweet and super nutritious superfood drink that can aid in the healing process of many different ailments, including chronic diseases. Being sugar-free doesn’t mean you can’t enjoy sweet treats. 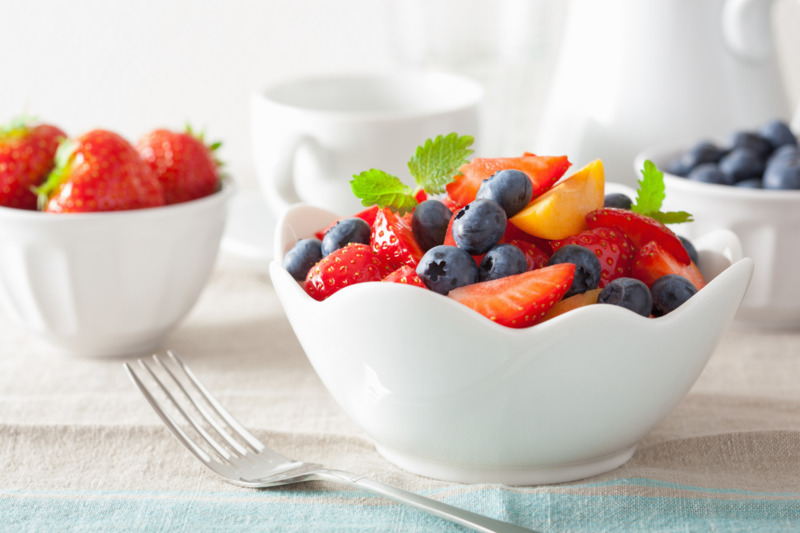 Give these delicious sugar-free recipes a try next time you’re in the mood for something sweet. Happy detoxing!